Visiting North Korea isn't at the top of too many bucket lists -- rightfully so, given the likelihood of being arrested for espionage. But for those with inquiring minds, the first travel app devoted to the Hermit Kingdom sheds light on that most mysterious of countries, safely from a mobile phone. Developed by UK-based tech startup Uniquely.Travel and software developers Magora Systems, North Korea Travel App (NKT) bills itself as "The most comprehensive guide to North Korea that has ever been developed". Not exactly tough competition, seeing how it's also the only one. Regardless, the app is thorough, as it breaks down all the locations foreigners can visit and offers insight into more than 350 of the nation's attractions, along with hotels, bars, restaurants, museums, and other notable venues. All points of interest are geotagged, too, allowing for custom tours, and a price function helps find the cheapest deal. But let's not get too worked up; as ABC News points out, the tourist sites include a number of factories, a "broken bridge", and a "concrete wall" from which to view foreign military outposts. NKT also provides handy travel tips from experienced guide Simon Cockerell, who's visited the country more than 120 times, and offers advice on the ethics of traveling in the region for the more conscientious traveler. Which is good, because tourists should have plenty of questions about what the hard-line regime does with their money once its spent. One place it's definitely not being spent: Internet access. But conveniently, NKT works offline and can be downloaded in its entirety. 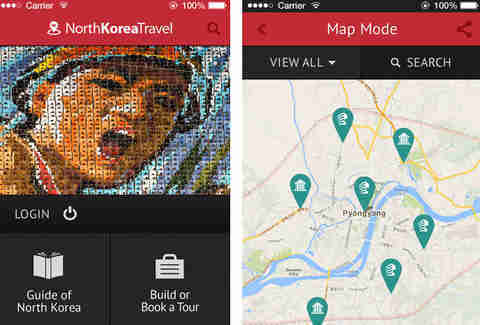 Though designed as a guide for prospective visitors, the app is just as interesting to homebodies, offering a vast collection of never-before-seen destinations available for the curious staycationer to peruse from afar, as well as a look at North Korea's controversial history and culture. 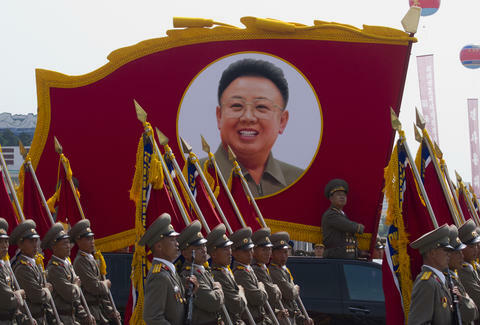 And as if North Korea weren't interesting enough, Uniquely.Travel plans to roll out apps on other "countries of unique interest" in future -- namely Iran, Burma, and Libya. Download the North Korea Travel App (compatible on both iPhone and Android) on the App Store and Google Play for $0.99, or just watch the promo video below. Chloe Pantazi is an editorial assistant on Thrillist's travel team. Yes, that’s a British accent. No, she doesn’t watch Doctor Who. Follow her on Twitter at @ChloePantazi.